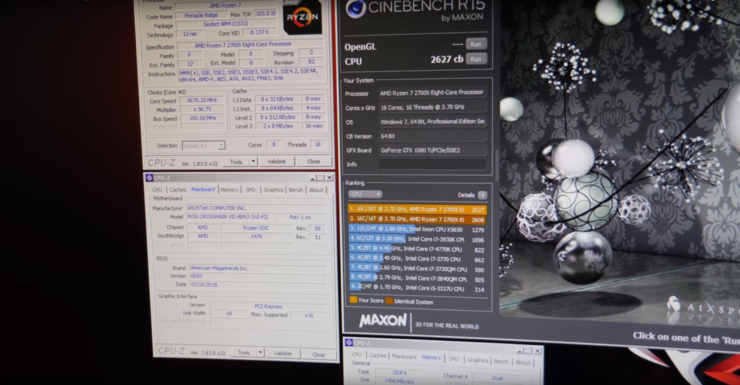 What happens when pro overclockers gather to test a newly released processor? World records are achieved. 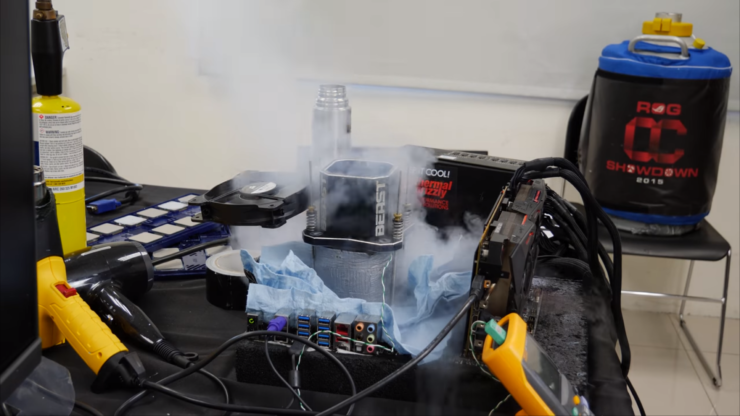 This is what happened with the recent AMD Ryzen 2000 series launch where pro-overclockers Der8auer and Neo (TheOverclocker) managed to push the flagship AMD Ryzen 7 2700X CPU to its limits. 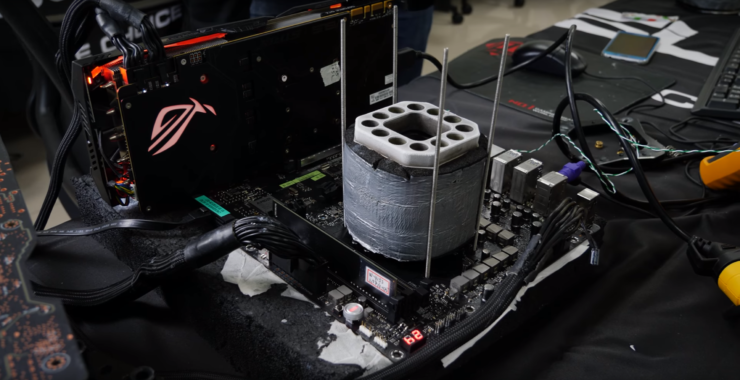 The feat was achieved over at ASUS ROG’s Taiwan HQ where professional overclockers, including Der8uer himself, had the chance to play with an endless supply of LN2 and lots of Ryzen 7 2000 series CPU samples to break records with Pinnacle Ridge CPUs. 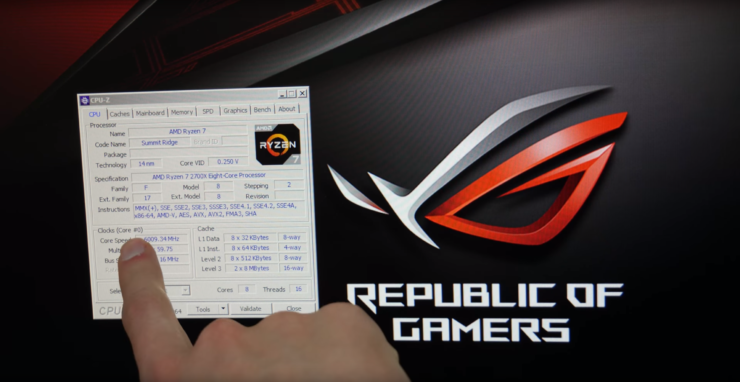 Since the testing was done at ASUS HQ, the motherboard used was ROG’s flagship Crosshair VII Hero which we have tested in our own review over here. 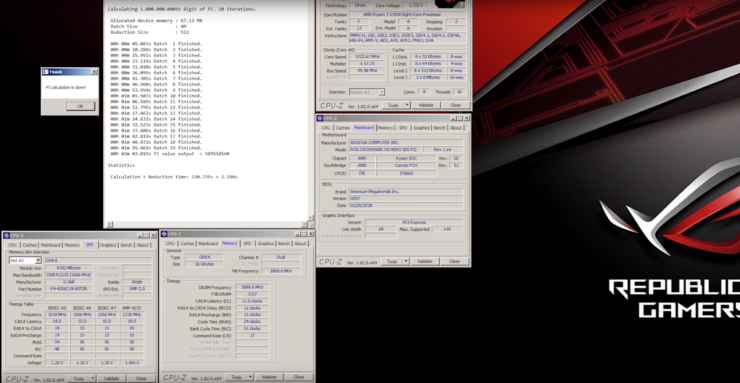 We previously also saw up to 5.88 GHz overclocking results show up on MSI X470 motherboards. 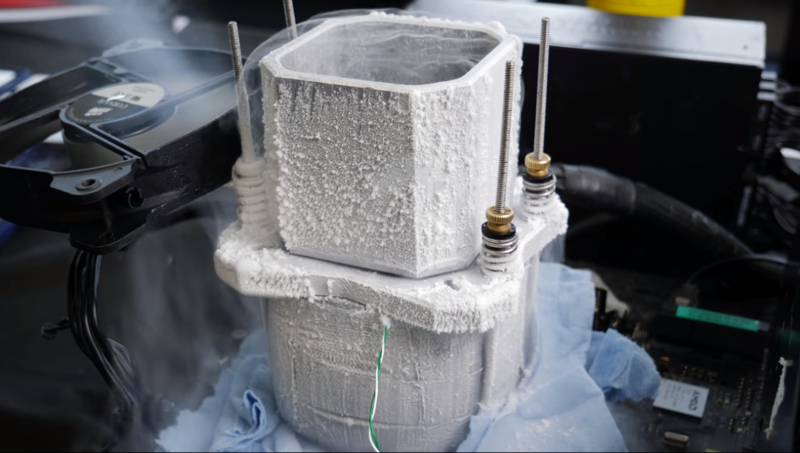 The AMD Ryzen 7 2700X was tested in various benchmarks but the most impressive result was a huge 6.0 GHz overclock (validation here) across all 8 cores and 16 threads using a voltage supply of 1.85V. This is an incredible clock speed which although not stable, does show that this is an overall better chip compared to its predecessor that was overclocked up to 5.9 GHz. 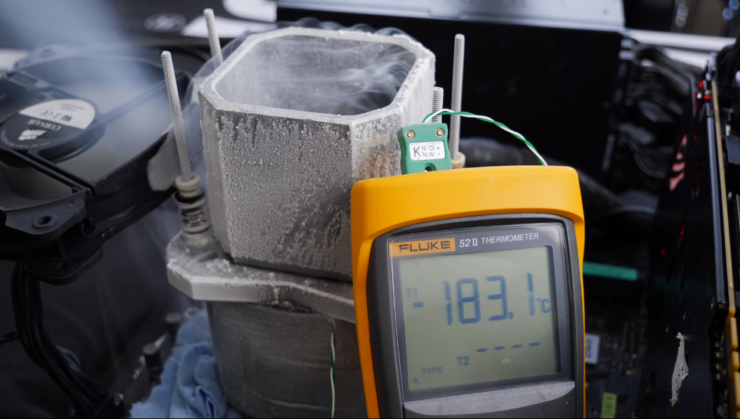 The chip doesn’t feature an OC bug which means that overclockers can fill the LN2 pot up to the top reaching temperatures around -190C (degrees). 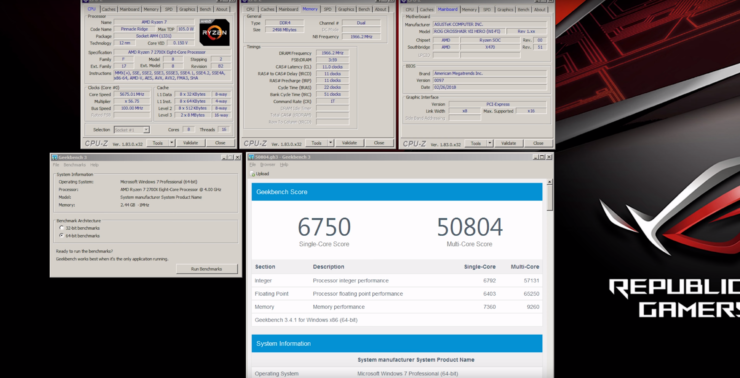 There were also some benchmarks run at 5.7 GHz (1.550V) and memory at 1.95V (due to really tight timings). The surprising thing found out in these benchmarks run was not only did Ryzen 7 2700X manage to break some 8 core world records but it also performed vastly better than the similar 8 core Skylake-X processor that clocked higher at 6.1 GHz.